The Husqvarna FS450 is a very special bike. It’s made in small quantities for a narrow slice of the motorcycle market. 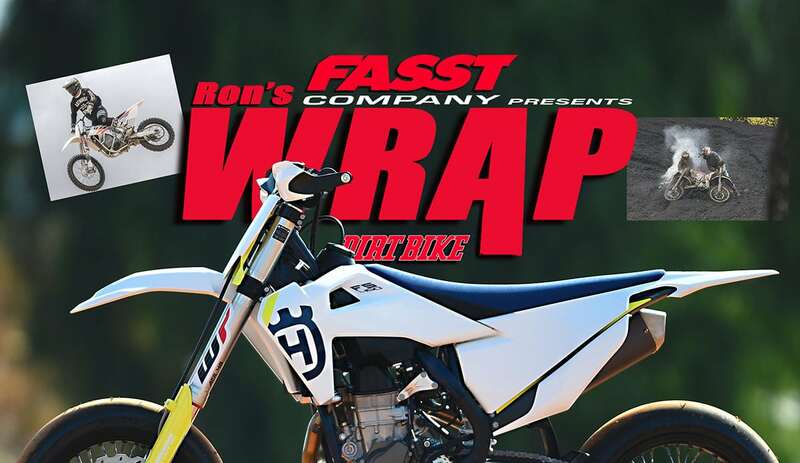 At its core, it’s a 2019 FC450 motocross bike, but then it takes a different path and becomes a production Supermoto bike. If you were around motorcycles in the early 2000s, you probably remember Supermoto. It was a sport that started in America, was exported to Europe, and then was brought back to the U.S. The concept combined motocross, road racing and flat track. Gavin Trippe came up with the idea in the ’70s for a made-for-TV event called the Superbikers, which was won by riders like Kent Howerton, Danny Chandler and Steve Wise. 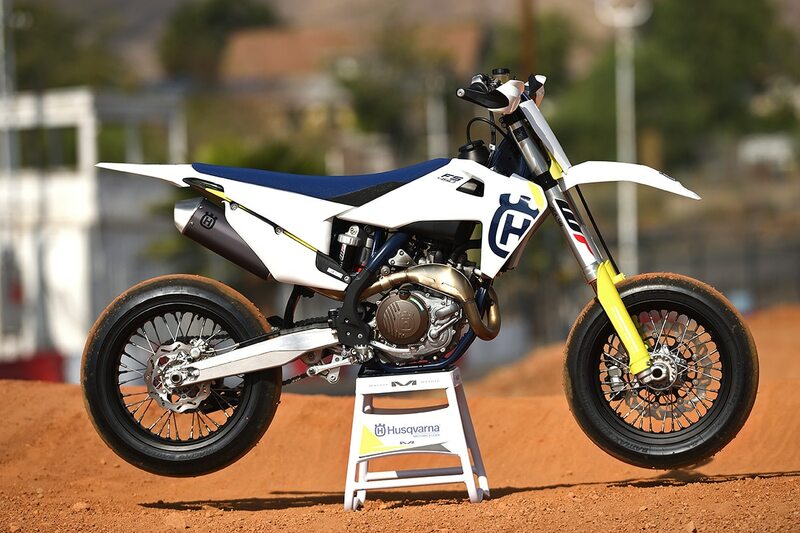 The Husqvarna FS450 is a production Supermoto bike based on the FC450 motocrosser. 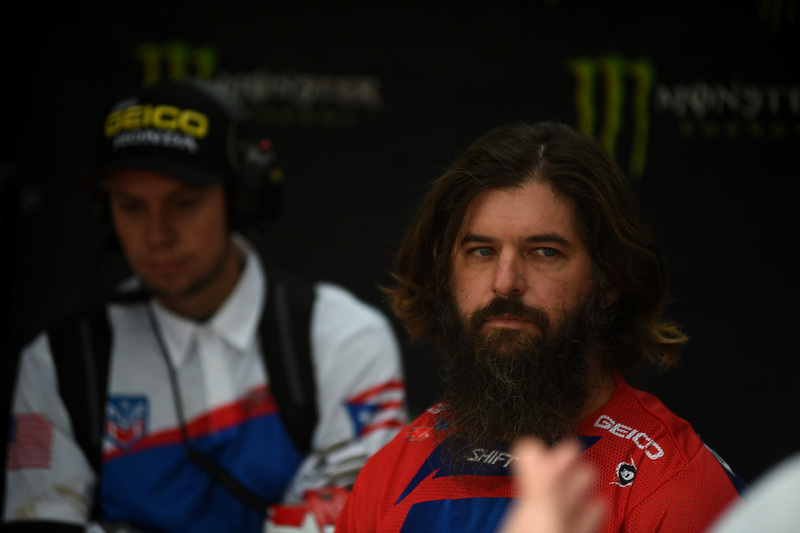 Supermoto was embraced by the motorcycle industry and a bunch of retired motocross stars. 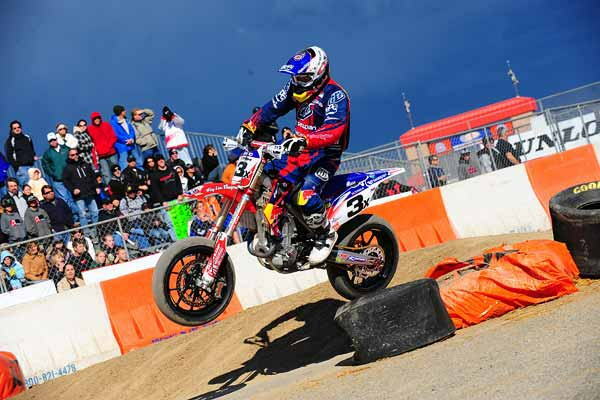 It was an official AMA championship with national status for seven years, it was featured in the X-Games and there were certain one-off events that were heavily promoted, like the Supermoto a GoGo at the Long Beach Harbor. But Supermoto never attracted very big numbers of participants, and it faded in stature after a few years. Today, it remains a specialized sport in the U.S. The bikes modeled after this form of racing are treasured by canyon racers and still enjoy moderate popularity in street-legal form. Bridgestone 125/80 R420 and 165/65 R420 slicks come stock. 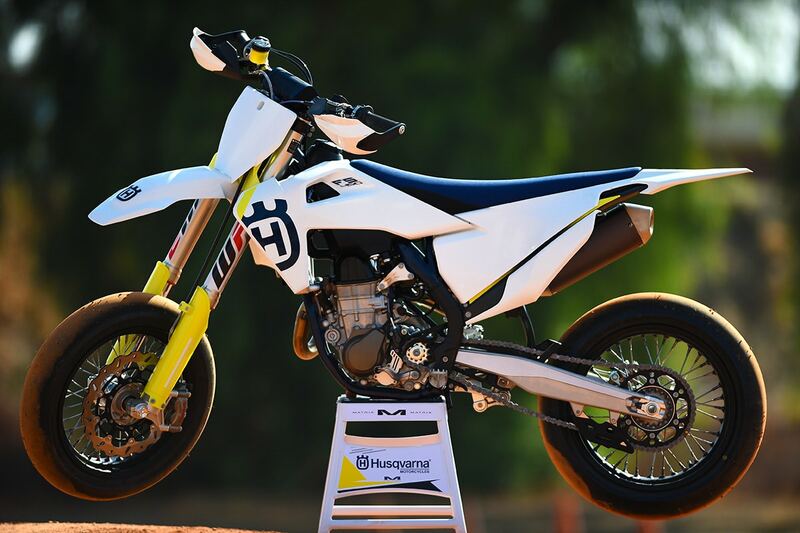 Husqvarna knows that dealers aren’t going to be stormed by Supermoto enthusiasts and imports the FS450 in small numbers. It is, essentially, a motocross bike with road-racing tires, wheels and brakes. The suspension components are also modified and the bike has a slipper clutch, which smooths out rear wheel chatter for downshifts. 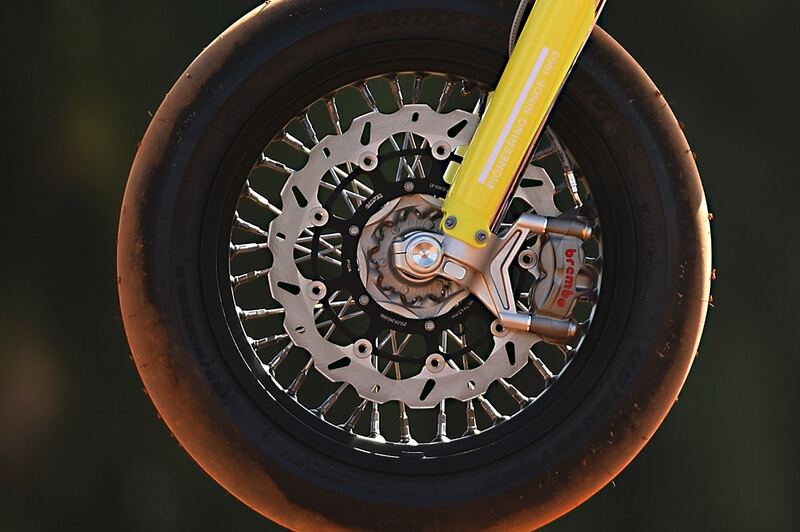 The Brembo four-piston caliper and a 310mm rotor have serious power. We spent a full day riding the FS450 at Adams Kart Track in Riverside California. Most of today’s Supermoto events are either set up in large parking lots or on karting tracks like this. Needless to say, we spent most of the time learning about how to ride the track and figuring out what Supermoto was all about. The bike itself was secondary. 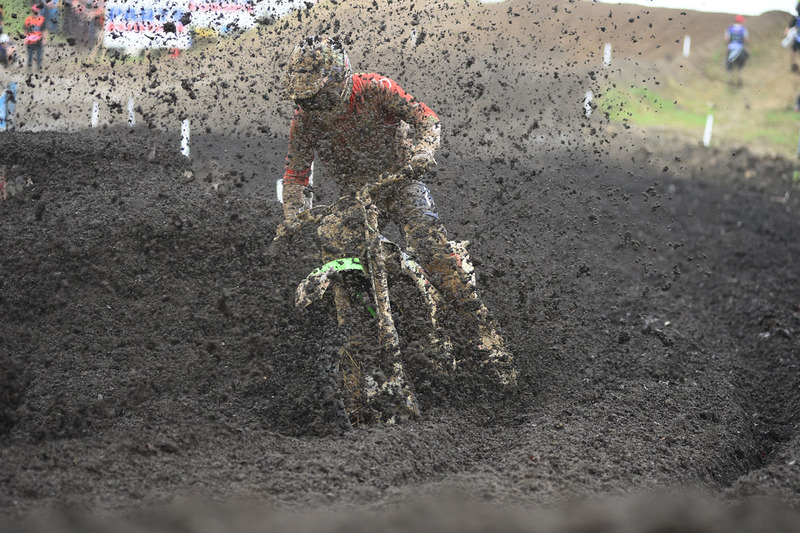 Motocross riders have to overcome several big obstacles in order to get the hang of it. First, you have to trust the traction. The bike has Bridgestone 125/80 R420 and 165/65 R420 slicks and on pavement, they grip much better than anything a dirt bike rider has experienced. The brakes are also far more effective than you might think. A Brembo four-piston caliper is used in front with a 310mm disc. This isn’t overkill at all. 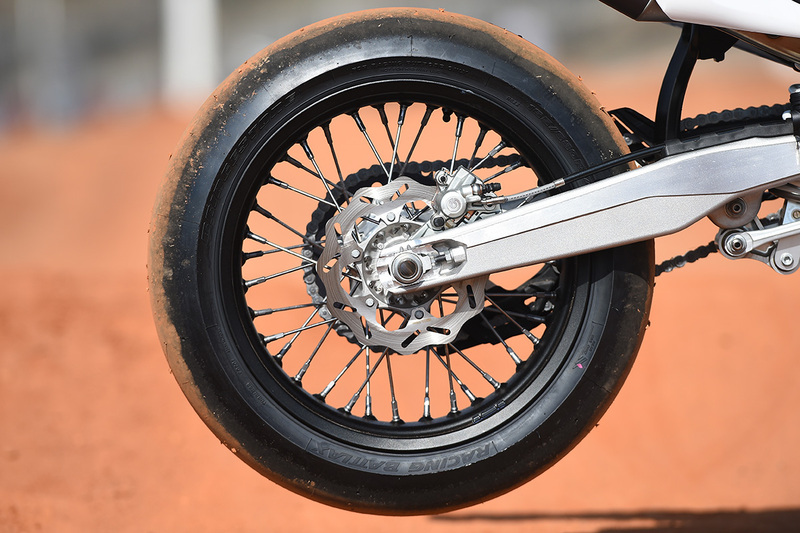 If you’ve ever ridden your dirt bike on pavement, you know that conventional brakes feel completely inadequate there. For a motocross rider, the first lesson is to trust the traction. At first, it’s all about leaning and trusting. After a while, you might be ready to get loose. In order to break the rear wheel loose, you downshift like crazy coming into the turns and barely touch the rear brake. That’s when the rear wheel slides, not on the exist like regular dirt bikes. When you do it right, the bike hooks up on the exist and shoots you down the straight with everything the Husky 450 has. It’s no more powerful than a 450 motocross bike, but it accelerates much harder because of the traction. 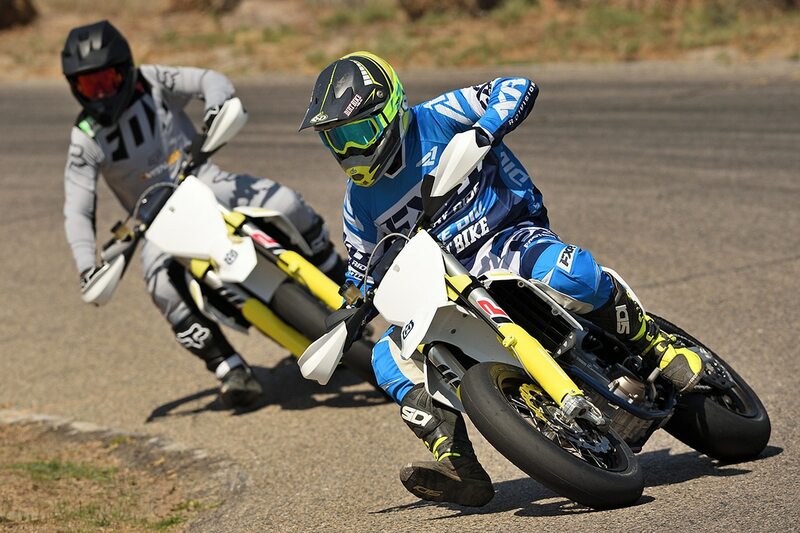 Mark Tilley and Mike Lindsay having fun, Supermoto style. I’ve ridden Supermoto bikes before, but this was Mark Tilley’s first experience. He had a blast. The track was open to a number of journalists. He eventually hooked up with Michael Lindsay from Vital MX, who was on the same learning curve. The two of them had so much fun you could see the smiles right through their helmets. The sport of Supermoto probably won’t grow much larger, but it’s crazy fun. A few of the bikes sold in the U.S will be used for racing, but we imagine that canyon racers will line up for them and figure out some underground licensing process. The bikes aren’t street legal by any means, but that hasn’t stopped these guys before. 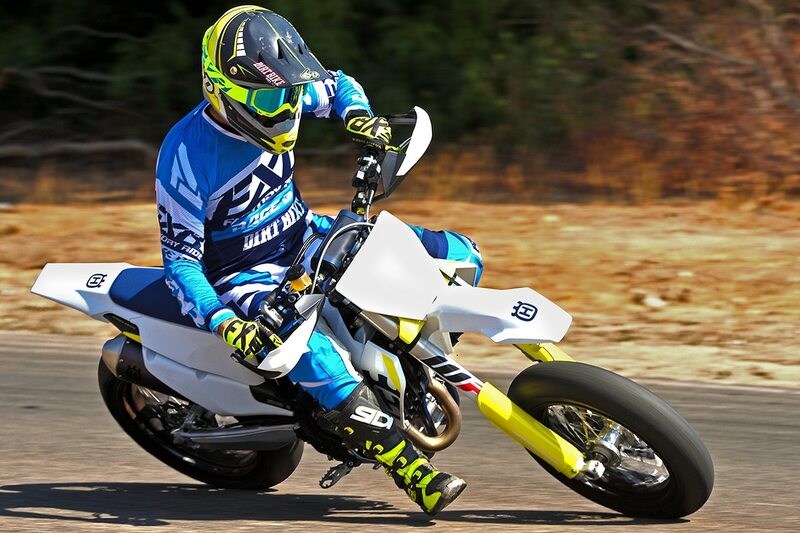 Husqvarna offers the 701 Supermoto as a legitimate street-legal alternative. To learn more about the Husqvarna FS450, click here. I still haven’t looked at all the photos I took at the Motocross of Nations. There are thousands to go through. 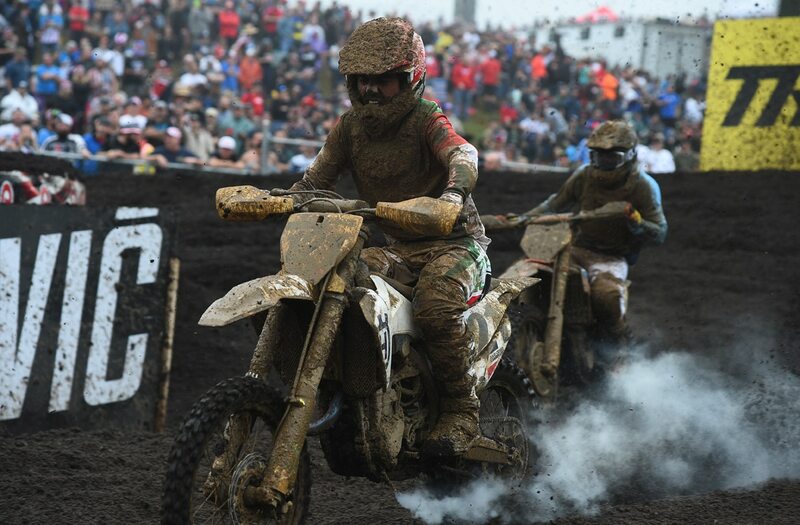 It was a mudder, but the RedBud people must have anticipated that. They hauled in tons and tons of sand. The result was a weird mix that was especially hard on bikes and goggles. Our guys weren’t the fastest, but they were fast enough to win. France wasn’t the fastest team, either. 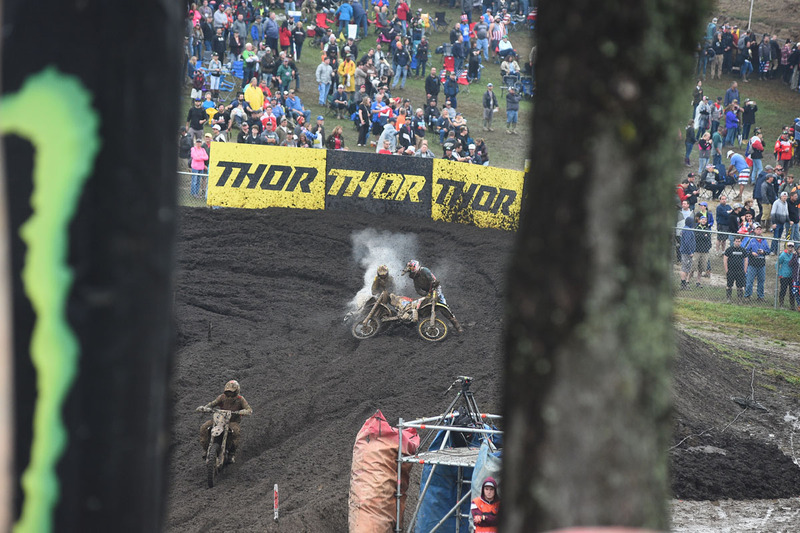 The conditions were the random factor that decided the race.Here are some scenes. If you think U.S. fans were disappointed, how about this guy? Calvin Vlaanderen had to pull off shortly after this was taken with an eye injury. If he had finished, the Netherlands would have won. Kevin Windham is still a racer. He came out pretending like the results didn’t matter to him, but he rode hard. 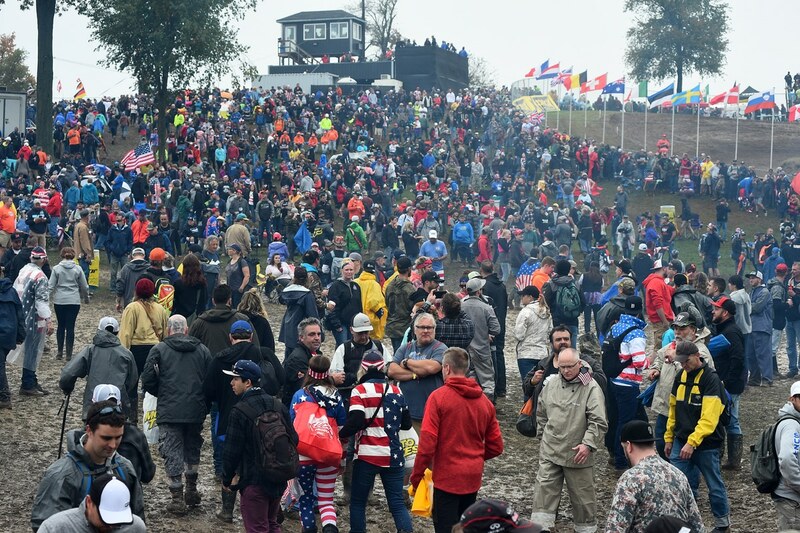 The turnout was far better than the last MXoN held in America (Colorado, 2010), but it still wasn’t any match for Budds Creek in 2007. 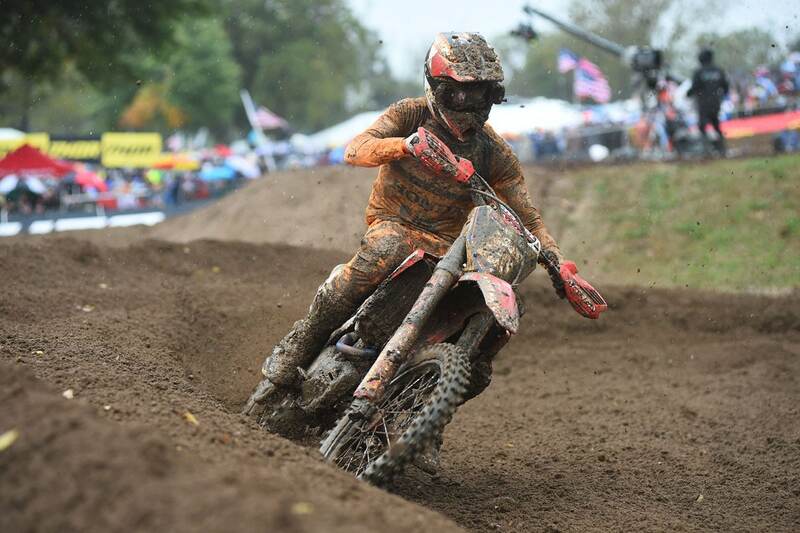 Eli Tomac had his own problems with the mud. 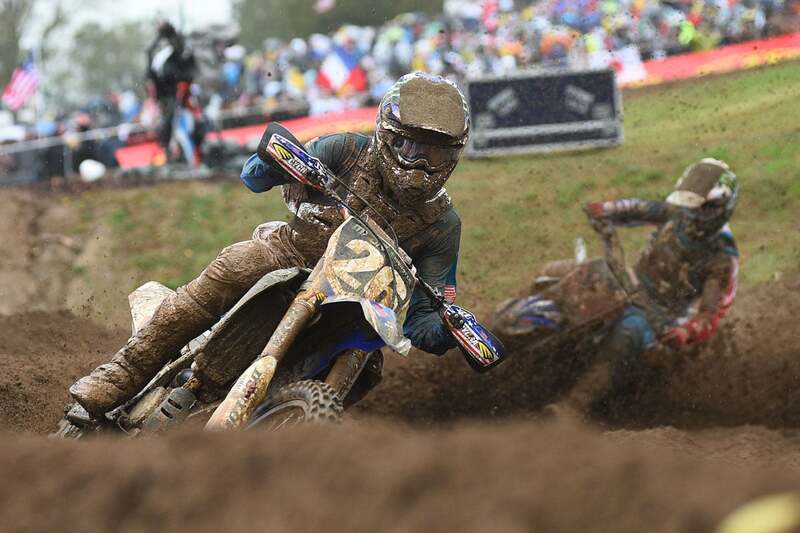 Aaron Plessinger was on fire in his qualifying heat, beating Ferrandis and even Jorge Prado. Then he fell hard. He never made excuses, but it was probably riding in pain. 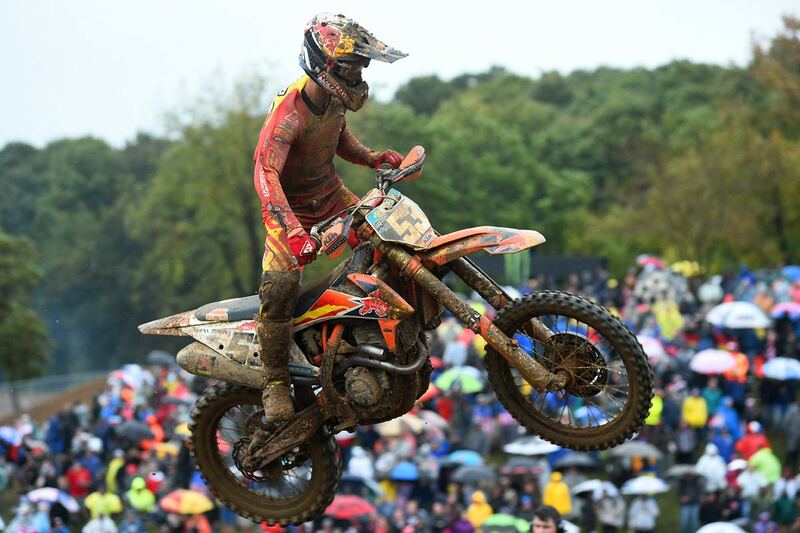 Newly crowned Wold Champion Jorge Prado was third in each of his races against 450s. Amazing. If Spain had three of him, the results would be quite different. Fans are fans everywhere. This guy’s shoes were sucked into the mud, but bare feet weren’t such a bad plan. It isn’t all about the big teams. Mexico was close in the B main but was defeated by Puerto Rico with Pastrana et al. Julio Cesar Zambrano rode like a champion. 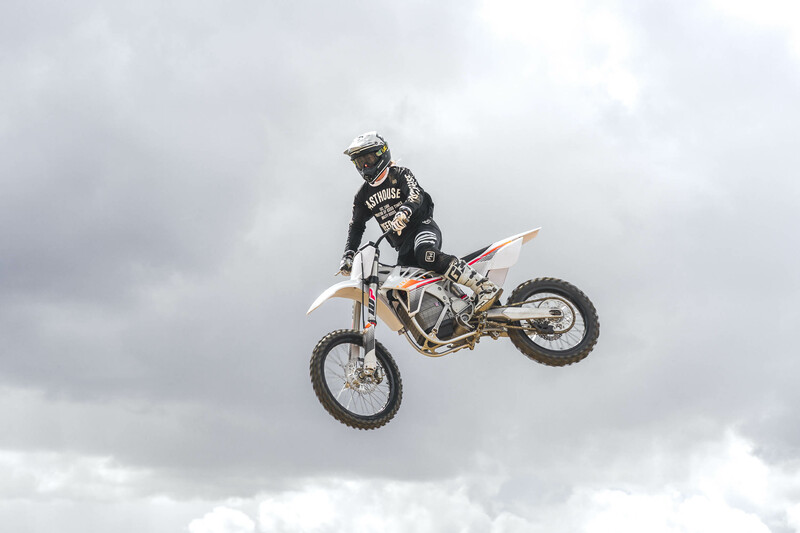 This year, Red Bull Straight Rhythm promoters made a big change to exclude all four-stroke engines, leaving only 2-strokes and electric motorcycles to compete. Darryn Durham, a renowned two-stroke enthusiast, is a perennial competitor in the two-stroke Dream Race taking place during the outdoor pro motocross season, not to mention his popular two-stroke video series “Still Smokin’.” He will be riding the Redshift MXR electric bike this year. It should be interesting. The entire event will be livestreamed beginning at 6:30pm PDT on October 20. Go to www.redbull.com/us-en/events.